Mark Haythornthwaite chose to follow a dream in 1991 when he took early retirement and redundancy from IBM. From his university days in Cape Town he always had a dream to own his own wine farm. With no background in the industry apart from being an enthusiastic consumer, he was able to follow his dream in 1992. Planting a vineyard on bare sheep land proved to be a bit more adventurous than he originally thought. 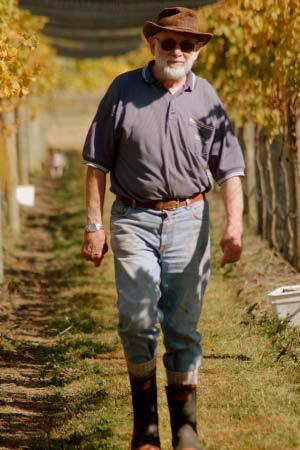 Many years later, with award wining wines to his name he can now say he has succeeded. Planting the grapes he loved proved to be a winner. Gewurztraminer, Pinot Gris and the flagship Pinot Noir have all won a following with many accolades to their names. What was bare land in 1991, is now a fully planted vineyard with extensive gardens, houses, a tasting room, barns and multiple containers operating as sheds.